The question has been raised about Open Access supporting the developing countries, and is it really sustainable by the institutions from developing countries? The surest way to find out is to pose that question to members of such institutions. He declared he would shoot me unless I gave him the ivory and then cleared out of the country, because he could do so, and had a fancy for it, and there was nothing on earth to prevent him killing whom he jolly well pleased. In the past the white men came to Africa to collect ivory because they could. Today, publishers from developed countries take from Africa their research output – but is there an alternative to it? Dr Buhle Mbambo -Thata, executive director at University of South Africa (UNISA) has spoken for her country’s researchers at Power Of-In-Between Conference sponsored by the Institute of Development Studies. She explains how for many years developing countries authors have been writing articles which have not been accessible in developing countries because the institutions needed to buy them back from developed countries. “Authors didn’t have access to their own output and their own research”, Dr Mbambo-Thata stresses, “and Open Access will help us get back the output of our researchers.” Such an opportunity is unprecedented in developing countries. Open Access also enables developing country authors to integrate their research into the global knowledge pool. In this way, Open Access is sustainable by institutions which are currently supporting subscription-based journals in a large scale. “With Open Access model, developing countries will have access to their own research”, Dr Mbambo-Thata is assured. Once OA journals have been collected thanks to the technology of internet, they still require their digital home also known as Open Access Repository. If any doubt still raises considering the question of accessibility of OA to developing countries, it should be whipped off with the valuable number of 192 institutional repositories established by January 2009 in 28 developing countries. Some exemplary repositories such as Rhodes e-research Repository and Venezuelan Universidad de Los Andes, have proven great usage by both developing and developed countries. All of the repositories may be searched by Google and similar browser tools. Today, there is an alternative to “the white-men” chasing all the gold. In fact, there is an Open Access to what brings gold since scientists advance their careers by advancing the knowledge in their field. To make transition from the old model, some awareness remains to be raised. 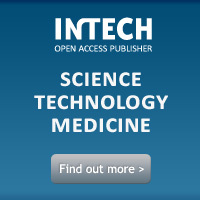 This entry was posted in Developing Countries, InTech, Open Access, Open Access Repositories and tagged developing countries, gold open access, Open Access, open access repositories, Scientific Publishing, university of south africa. Bookmark the permalink.